The Discovery Center Bird Club developed and sponsored a 22-Station Breeding Bird Trail along the Discovery Center’s 12-mile trail system. Signs are dispersed throughout, highlighting Wisconsin birds known to breed in or near that exact spot. The Bird Club welcomes all to its activities. Contact the Discovery Center to sign up for details via weekly Bird Club e-mail. **NOTICE: Regular Monthly meetings will no longer be held between (and including) November and April. Also there will not be an offical Winter Social. The 2018 weekly field trip information will be coming soon! For Further information contact Thurs. Outings Coordinator, Donna Roche: p-lanz@hotmail.com or 715-588-3344 (Thurs. Mornings contact Donna [cell] @ 715-892-5847) unless another person is specified for individual trip. 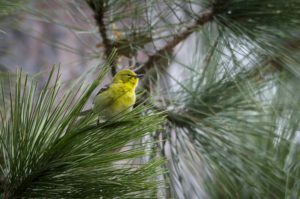 TIPS FOR BIRDING IN YOUR OWN BACKYARD! Become a member of the Discovery Center Bird Club.